Some of the most popular discussion forums for EFL teachers shy away from allowing posters to complain about or criticize specific schools. Advertising dollars and threats of lawsuits are reasons that make it much simpler to impose strict "no naming and shaming" policies. With the anonymity of the internet and all the potential headaches involved, it's easy to see their logic. There have been attempts in the past to set up a specific site to deal with the myriad problems that arise regarding English teachers abroad and their dealings with employers. So far, none have lasted beyond a few years and/or limited popularity. I recently conducted an e-mail interview with the site's owner and administrator, James. James: Hi and thanks for this opportunity to be heard. My background is one of diversity ranging from law to teaching. I have been a TEFL teacher for 7 years starting in France and moving through Asia. The TEFL profession has opened my eyes to many things and allowed me to travel and live in different cultures. TS: What is your motivation for starting this site? Will it be commercial at some point in the future and if so, how will you generate revenue? James: The main motivation for TEFLGUARDIAN was to have a central place with school information. The site is set up and designed for both positive and negative ratings of schools. When a person is looking for a job there is no single place to get views from former and present employees. I hope this site will change that. My grandiose thinking about any future income from the site would be in the form of a 5 star badge schools can put on their site. This will take many years, I think, to achieve, but who knows. TS: As a self-appointed watchdog of schools and a moderator of disputes between owners and teachers, give us some reasons why we should accept teflguardian as credible and fair? Or, if I have misrepresented what you stand for, please clarify. James: It is a hard question to answer. I don’t know many people who believe everything they see on the internet. The school review section of TEFLGUARDIAN is rated from teachers who have worked there or are working there now. There will be no interference from TEFLGUARDIAN related to the school review section. If people adapt to this new format there should always be fresh information available about any school. Ultimately, it is always up to the reader to make their own decision. TS: How will you avoid attracting the inevitable grudge holders who want to unfairly criticize schools? Or worse yet, mischief makers who get a kick out of stirring up trouble online? What sort of vetting process, if any, do you have before allowing posters to cut loose with their complaints? James: Well that is and will always be a problem. The truth is, you can’t stop it. In the beginning we may have that, but as time passes things will normalize and each school will get a fair and just rating. TS: How will your site differ from others who have tried and failed to create an online location for EFL teachers to share information about schools? James: My site is not set up for negative purposes only. The other sites that have done this always seem to have a negative slant to them. TEFLGUARDIAN is different and will remain different. TS: Fair enough. However, it's a truism that conflict and negativity sell. And people are less likely to seek out a place where they can discuss positive experiences (in fact, some might like to keep their good school a secret so as to avoid attracting the riff raff.) Won't the focus end up being negative in the long run? James: True, negativity sells. It may in the beginning have disgruntled employees posting which would bring a school's rating down. But I don’t see that happening over the long run. When teachers see the benefit of a site like this it will become a positive experience. TS: Have you been connected with any previous school watchdog sites? TS: How long has this idea been in the planning stage? Or, is it in direct response to the vacuum created by the collapse of another site? James: The idea has been there for about 6 months. It took a long time to find a format that would be suitable without using the old forum method. The launch of TEFLGUARDIAN was a pure coincidence with the loss of the other site. TS: The days of "anything goes" online are coming to an end. 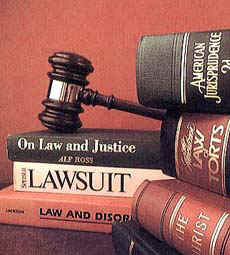 People are more willing to take legal action and there have been cases of large settlements related to libel on websites. How are you going to avoid such a situation? If and when the first lawsuit comes down the pipe (spurious or not), will that be the end of teflguardian? Have you already sought legal advice? James: Things are a bit less wild west now on the net. Without showing my trump card, I have taken all steps to insure the protection of TEFLGUARDIAN and its owner(s). Legal advice was sought and that is why we have this new format. TEFLGUARDIAN is not going anywhere, unless I can’t pay my hosting bill. TS: It's been my observation that start-up forums take a good while to become established and attract a steady following. Without content being churned out by those in charge, it takes much longer to grow a discussion board. Will you be actively creating threads and contributing to the discussion? Will you use multiple user names to do this? Is the practice disingenuous or just something that is necessary to draw in readers? James: My only involvement in the school rating section is to put the information on the site. That includes school name, location and some general information about the place. I will not falsely rate any school that I have no knowledge of, under any name. It is up to the teachers to supply any rating information and comments about the school. The forum is the only place I will be posting information. The forum will not have any school information only general talk about living and working in that country. I have 2 names on the site. The first is TEFLGUARDIAN admin and the second is baker. I use the second to test and make sure things are working like they should for other users. Baker has no admin privilege only normal user status. That’s it, no reason to create false names. If the site is going to be successful it can’t start with lies. TS: Any plans to expand the site beyond school reviews and the discussion forum? James: At this stage it is hard to tell. I can’t say I have no plans, but I don’t know what they are yet. TS: What is it about this industry that seems to result in a fairly large number of disputes between teachers and owners? James: Speaking only from personal experience. Communication between employee and employer is poor. Things are not laid out in advance or stated before a person flies 8000 miles for a job. This results in hard feelings and a bad situation for the employee. I have heard of less than honorable employers, but have not experienced that. So, I can’t really comment on those situations. TS: What has your personal experience been as a teacher? Does a professional and responsible approach limit the potential for mistreatment from employers ? Or is there simply a group of unscrupulous owners out there bent on cheating and abusing foreign teachers? James: My experience as a teacher has been mostly positive. No horror stories from me to tell. I have always tried to be professional and responsible in any job I do. It is not always enough if you have employers that value only the $. My advice for anyone looking for a job is to trust your senses. If it feels bad, walk away. TS: What is your opinion of the TEFL industry as a whole? What are the current trends? Is it a credible career for those who decide to acquire further degrees, training and certificates? Where do you see things ten years from now? James: My opinion of the TEFL industry is one of change and no clear direction. There seems to be no standard and all depends on where you live. It makes it very difficult to establish a valued pool of teachers. If a person is serious about this career, get a Masters Degree. TS: Do you have any final comments you would like to share with teachers/potential readers of your new site? James: The format of TEFLGUARDIAN is different from sites of old. It will take a little adjustment, but in the end will prove to be a valuable resource. TS: Good luck and thanks for taking the time to respond to these questions. James: Thanks for the opportunity.